If you live in an area that's prone to earthquakes, you need to be prepared. Pack a comprehensive emergency survival kit for your home with enough supplies to last each member in your household at least three days. Also, pack smaller kits to keep in your automobile and workplace. Every household should have the following supplies on hand. Keep the items stored together in a place that's easily accessed by everyone in your household. Although it seems like a large number of items, careful packing can fit a surprising amount into a small space. Plastic bins keep items clean and organized, and they are easy to tote if evacuation becomes necessary. This home survival kit envisions a worst-case scenario in which a major quake renders food, shelter, and medical care temporarily unavailable. Remember that such a worst-case scenario may involve partial or complete destruction of your home, so these items should be stored in a such as way that they will be easy to find, not scattered around a house that may no longer be easy to access. It is a good idea to store such a kit near the front of the garage, or in a backyard shed or outbuilding where the items will be easy to access even in a worst-case scenario. If you live in a region where minor quakes are more likely than a major disaster, you can downgrade the kit to the items that are most likely to be necessary. 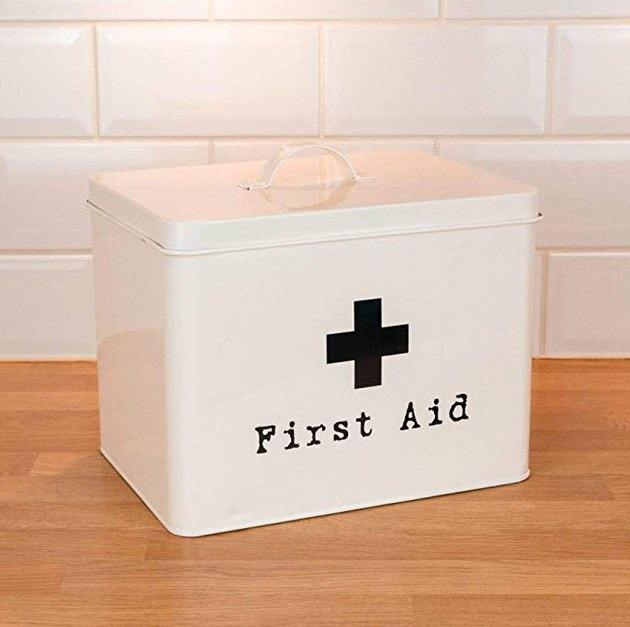 A first aid kit commonly includes adhesive bandages, gauze pads, adhesive tape, antibiotic ointment, antiseptic wipes, aspirin or other pain reliever, hydrocortisone ointment,rolled gauze, gauze pads, ace bandages, scissors, cold compress, eye drops, oral thermometer, tweezers, splinting materials, and a first aid instruction booklet. The following list of essential items is household dependent. 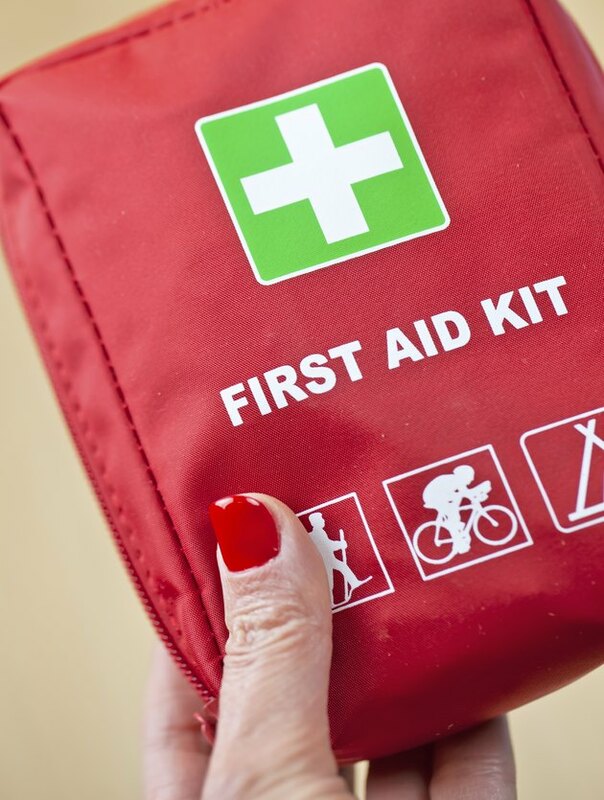 Since these needs can change, update your kit every year as needed and replace expired items. Gather the following items and store them in a small suitcase, bag, or backpack for portability. Check your automobile kit annually and replace expired items. This kit should include items you'll need for at least 24 hours.